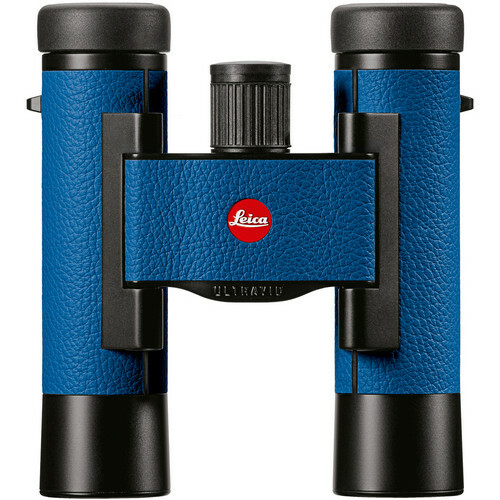 The Capri Color edition 8x20 Ultravid Colorline Binocular from Leica combines the fully multicoated optical path and weather-sealed aluminum housing common to all Ultravid compacts, and wraps this premium optic in vivid blue leather. Included with this special edition Ultravid model is a leather carrying case with styling and vividness matching the binocular. A dual-hinge bridge allows you to further reduce the footprint of these handsome glasses by folding the barrels under the bridge. Leica equips the Colorline series with multicoated aspherical lenses and roof prisms finished with Leica's proprietary P40 phase-correction and HighLux System coatings. The images transmitted by these Ultavid optics are bright and color faithful, as well as sharp and contrast-rich from center to edge. A weather sealed aluminum housing delivers fogproof performance and are guaranteed not to fog in rainy or humid conditions. 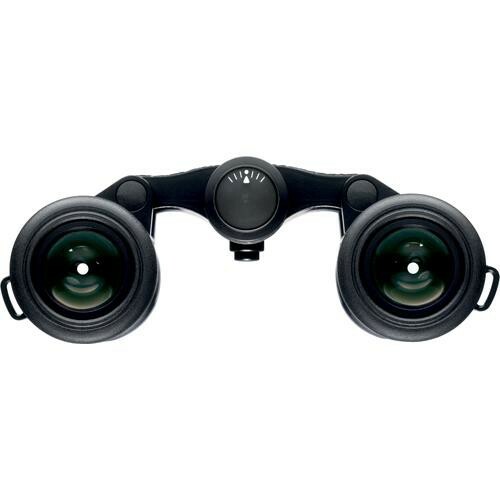 The twist-up rubber eyecups and 15mm eye relief allow a comfortable viewing distance for almost any viewer. A 52° apparent viewing angle and 6 ft close focus distance make this configuration of the Ultravid a full-featured binocular for a wide range of observations.